Over the past year or so, I have had a ton of patients in the clinic ask me “Why are you limping?” or “What is wrong with you and why are you walking like that?”. My fellow therapists and co-workers stopped asking since they had grown used to me walking around like an old man. 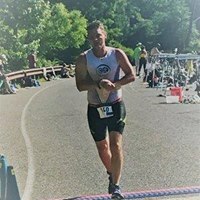 A combination of poor alignment (I was born with this) and years of soccer and running marathons had led me to develop severe arthritis in both of my hips. I learned how bad it was about 4 years ago when I got an XRay of my hips for something unrelated – my doctor (Dr. Katie Gollotto) came into the room and asked me if I knew how bad the arthritis was in my hips. I had no idea – I had never really had any pain in my hips – I just noticed that they were pretty tight and I was never the most flexible person in the room. 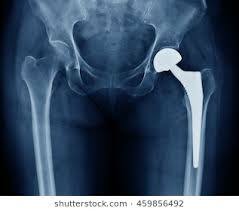 That was tough for me to accept, so I started considering getting my hips replaced. I have treated plenty of people who had gone through the surgery and they all seemed to do pretty well. I met with Dr. Greg Klingenstein of Reconstructive Orthopedics (I am fortunate enough to have seen his patients he had done surgery on so I knew he was a great surgeon) and decided to go for it. On August 1st, at the ripe old age of 44, I received my new left hip and began my own physical therapy right away. I was amazed that my pain from the arthritis was gone pretty much right away. I definitely had some soreness from the surgery, but I was able to walk without a cane just a few days out. I had to learn to not go too crazy with activity for the first month – I would pay the price if I did too much by being really sore. It has been a learning experience to be on the receiving end of physical therapy. It has opened my eyes to some things that I never appreciated as a therapist. For example, I learned that if I got lazy with some of the mobility and stretching exercises for my hip, I became stiff and didn’t see the progress that I wanted and expected. It has also allowed me to experience treatment first hand from most of our therapists and realize just how good all of our therapists are. I am now 2 months out of surgery and I am amazed at how much more mobility I have in my left hip. The biggest wins for me so far are being able to put socks on pretty easily and not having my kids have to pick up the ball out of the hole for me when we go miniature golfing. I am likely getting my other hip done in December – I figure I might as well fix it all so I can be done with it and move forward. I know plenty of people who have gotten new hips and went on to run again. I want to be one of those people. I know I need to commit to things like yoga and strength training that I never made a priority before my surgery in order to increase my chances of success. I am willing to commit to that if it will help me be able to run. It might even help me beat my son at soccer – he is only going to get better as he gets older.